Thanks to TWI’s signature Sparks Program in Turkey, children now have a storybook that challenges traditional gender roles, and the visually impaired have braille menus in Izmir area cafes. 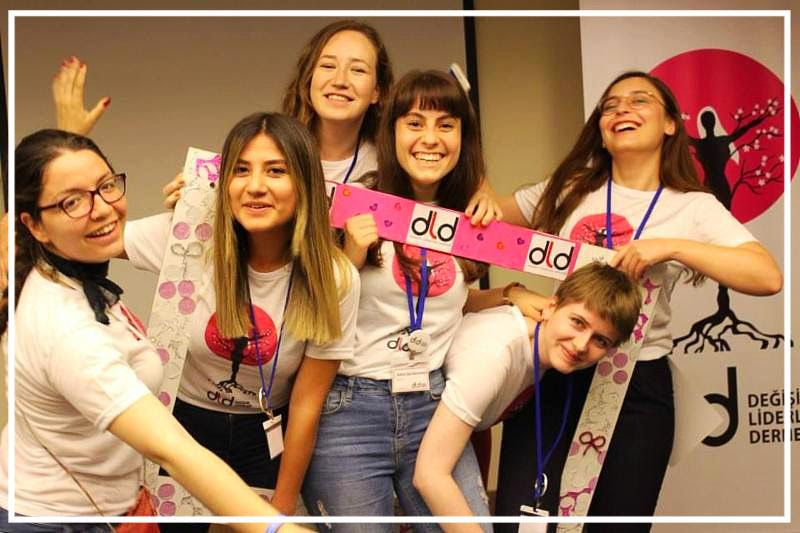 These were just two of the social change projects presented by Sparks participants who gathered, mid-May, for the 9th annual “Change Leaders Summit” meeting held near Izmir, Turkey. Sparks is a unique leadership skills development program for university women in Turkey. The Summit brings together Sparks students along with facilitators, volunteers, sponsors and board members. As always, the outstanding three-day event culminated in the presentation and celebration of all the social change projects that students planned and brought to successful completion during the eight-month program. dents who are graduating university and the Sparks program were specially honored. Now prepared with new leadership skills and abilities, the next step for these young women is graduate school, employment, and/or service to their communities. It was wonderful to see how the program, skillfully executed by our sister organization in Turkey DLD, has evolved in recent years. Now more than ever, Sparks is making important strides in reaching its primary goal of developing innovative methods in leadership training and social responsibility targeted to underserved young women. As this year’s Summit exemplified, the impact and credibility of the Sparks program continues to broaden the lives, values, and world views of Sparks participants present and past. The benefits are many, both to the students and Turkish society as a whole.